Hey guys! It’s finally feeling like Christmas around here! We got our tree out last night and I’ve been baking all day! Hooray! 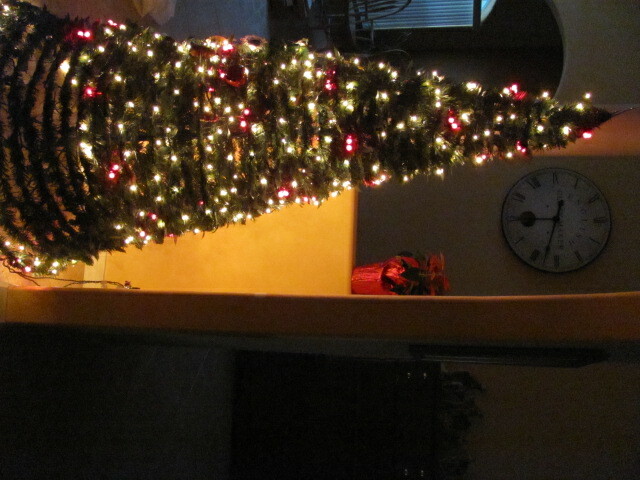 Our tree is pretty lame. 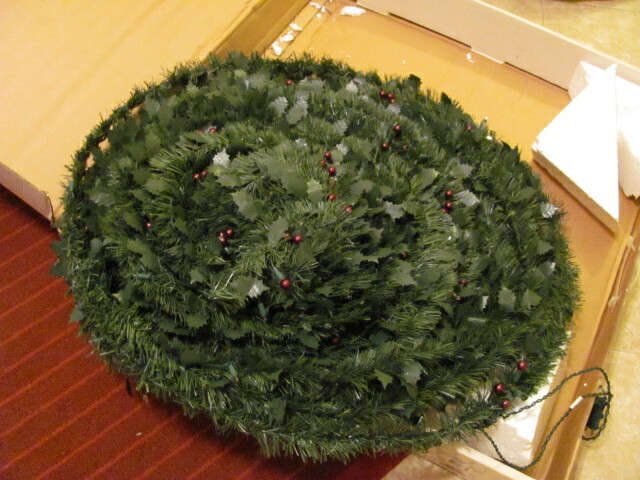 It’s an “instant” tree. It’s flat like a pancake and all you do is roll it up and hook it on a pole that goes through the center. It literally takes 2 seconds, yet Dad still has to help. 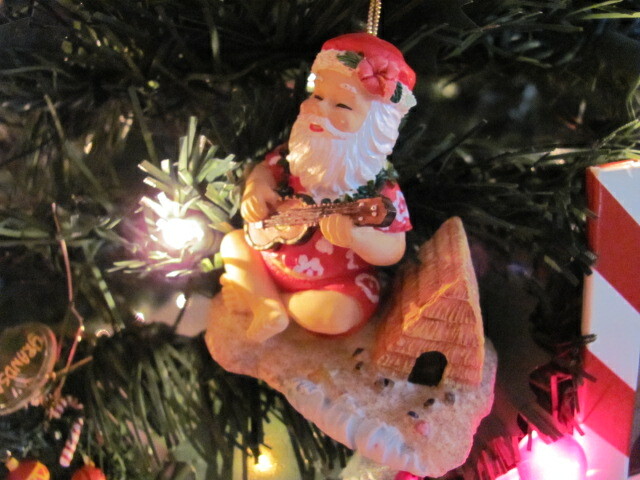 We lived in Hawaii for 3 years, and so we have these funny Hawaiian Santa ornaments. 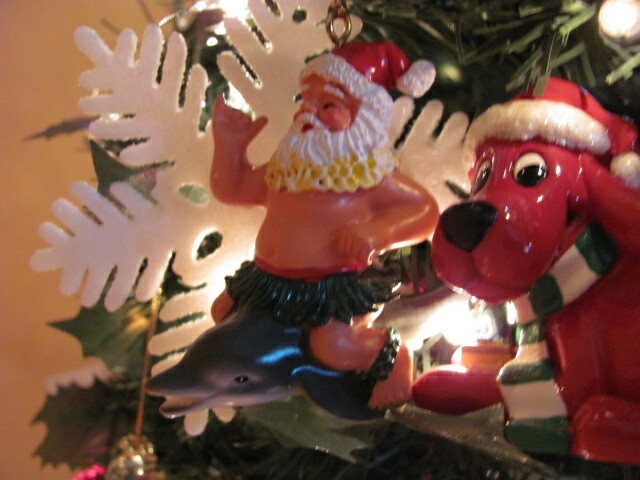 Santa Shirtless On A Dolphin...lol...next to Clifford the Big Red Dog. 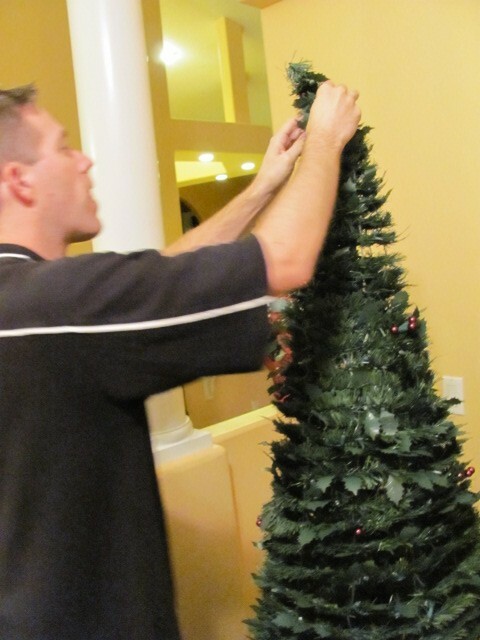 We definitely do not have your “average” tree ornaments. Hey! 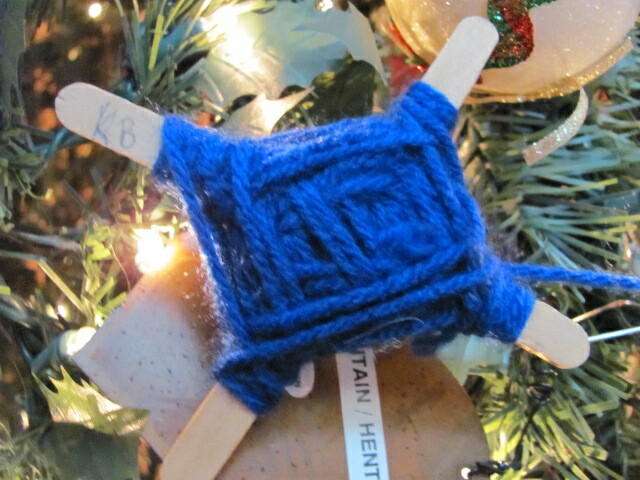 I remember making this in 3rd grade! It’s been chilly, especially today! 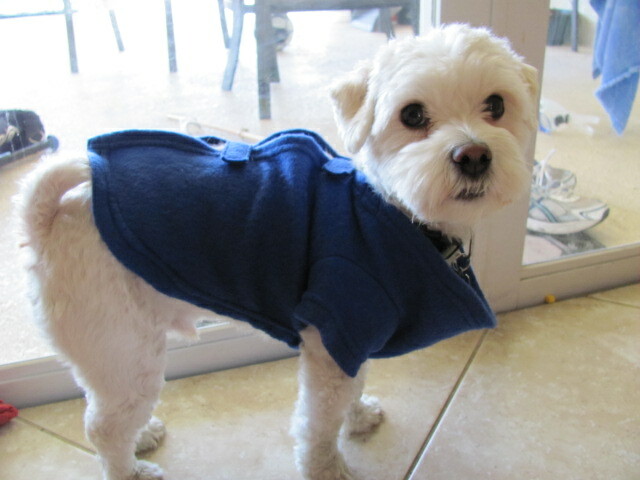 Chipper got all comfy-cozy in his Snuggie! Yes, they have them for dogs! After doing lots of online high school in Geometry, I rewarded myself by baking! It’s funny, the things that motivate me to do schoolwork! 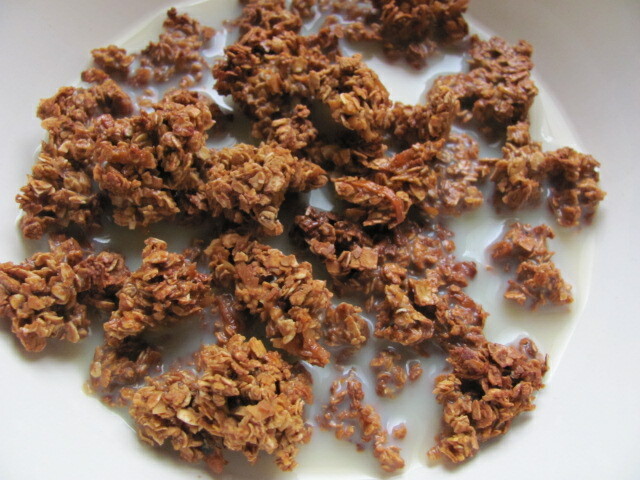 First, I made Chocolate Gingerbread Granola. It was really sweet, so I added 1 more cup of oats and instead of chocolate chips, I added 1 Tbsp. cocoa powder. It's especially delicious as cereal with some milk! Then I made cookies! I’m going to be real here…these were the farthest thing from healthy. But we had these Heath Bar toffee bits sitting in the pantry that had to be used! My mom took most of them to a Christmas Party tonight. He was giving me his best "puppy eyes". Didn't work. 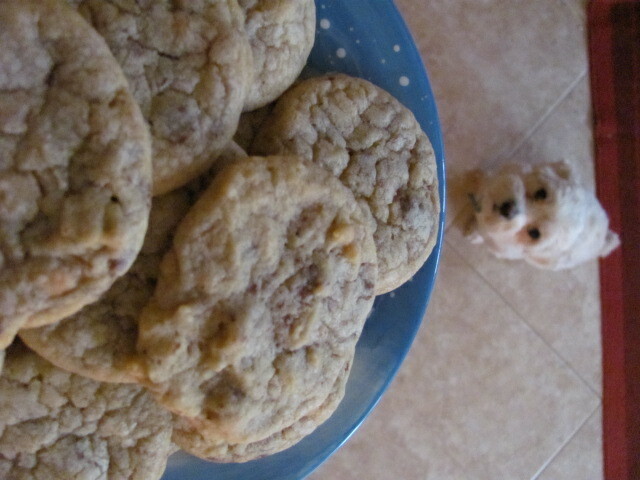 Boy, I had a lot of fun photographing cookies today! 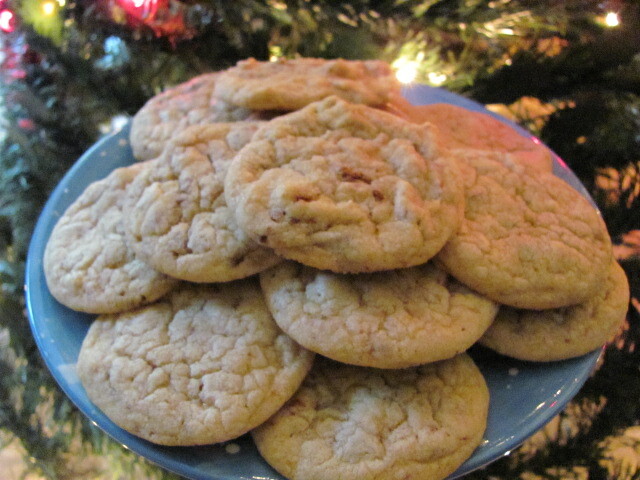 This was the recipe I used for the cookies, if you’re interested: Heath Bar Cookies. 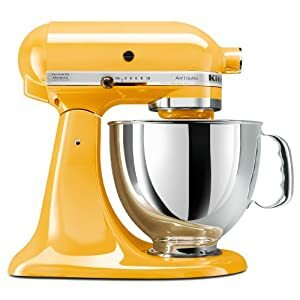 The one thing I really would like for Christmas this year is a KitchenAid Stand mixer. ahh, I LOVE that color! It would make baking so much easier, don’t you think? But I really don’t need it, I guess. I’ve been using a hand mixer forever, and I’m doing fine. What I really need is new clothes! You know when you have a whole closet full of clothes, but there’s still nothing to wear? That’s me right now. 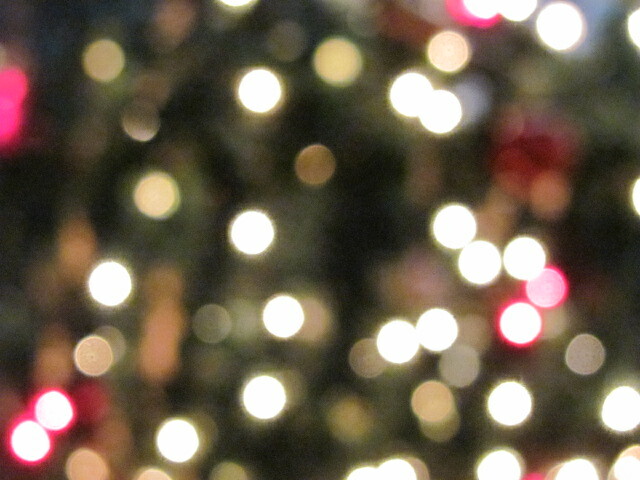 Christmas bokeh (fancy photography term, I know)!! I’m really happy with how it turned out! What do you think? 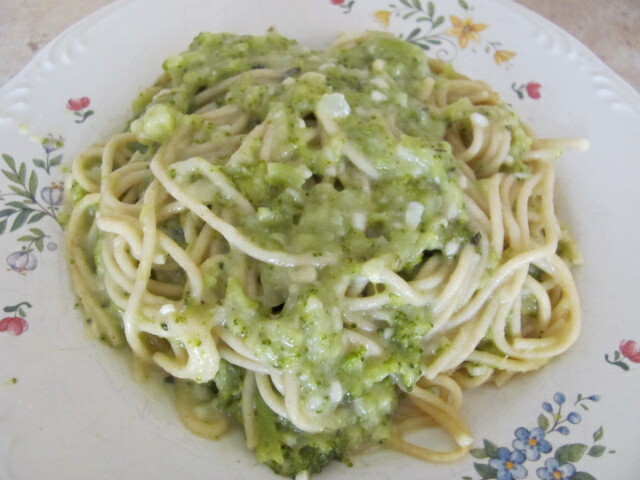 For dinner I just had whole wheat pasta with this creamy chicken broccoli sauce I made the other night. It tastes soooo good and yet it’s pretty healthy! I just started throwing things together, so I don’t have a recipe, but I’ll make it again soon and this time I’ll measure! I also just made a Thin Mint Protein Shake for my brothers, they loved it! Well, my plans for the rest of the night are to chill in my PJs. I think we rented Shorts from Netflix and then we’ll probably watch A Charlie Brown Christmas, check it out on Hulu! We always watch Charlie Brown’s Christmas! It’s a tradition! See ya later, thanks for reading! What movies do you watch every holiday season? For me it’s Charlie Brown, Elf, The Santa Clause, and Mr. Krueger’s Christmas. ← Almond butter in the Vitamix! I love your photo, it looks awesome. The cookies look delirious-so who cares how healthy they are ha. They make good photography. I love Charlie Brown holiday specials. Found your blog through Gracies and LOVE it! I so feel you on the have so many clothes but nothing to wear! Story of my life! I have never seen a tree like that! 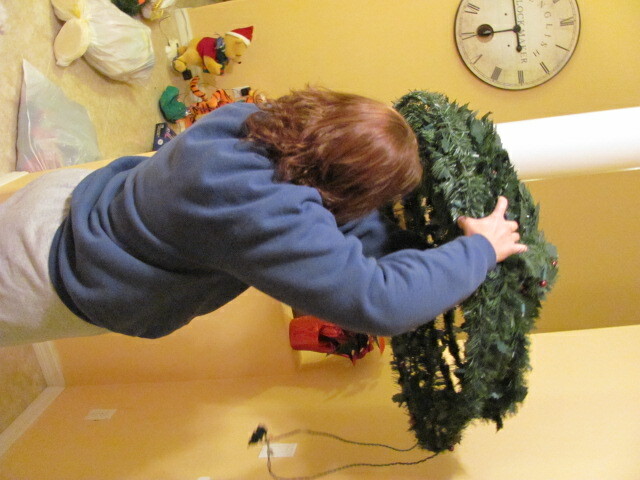 So much easier than all the prickly branches on my tree. We always watch National Lampoon’s Christmas Vacation. Still makes us belly laugh after all these years! I love Elf. It’s always funny. I would SO love a kitchen mixer too, but first, I want an iPad. Yes, the Grinch is another favorite of mine! Awwe, your little Chipper looks so much like a dear friend’s puppy! What part of Hawaii did you live? so cool you lived there! We lived on Hickam Air Force Base on Oahu. I miss it!